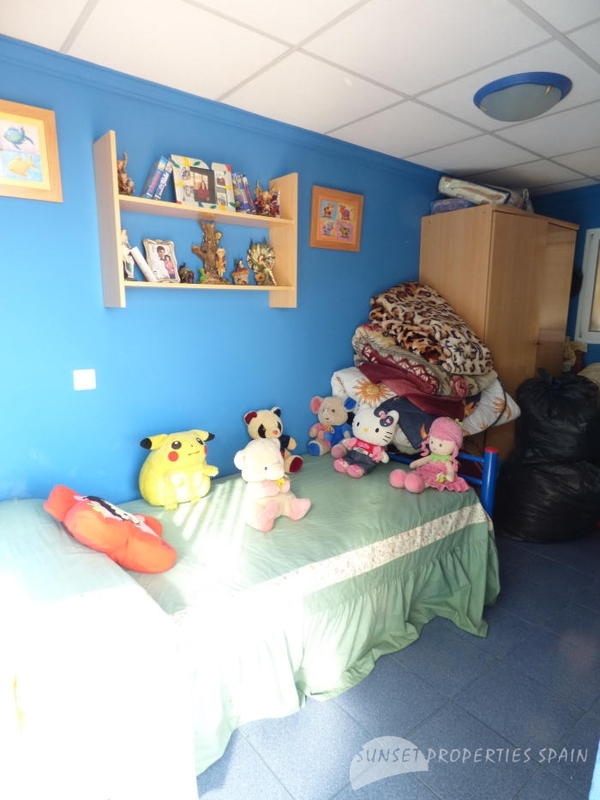 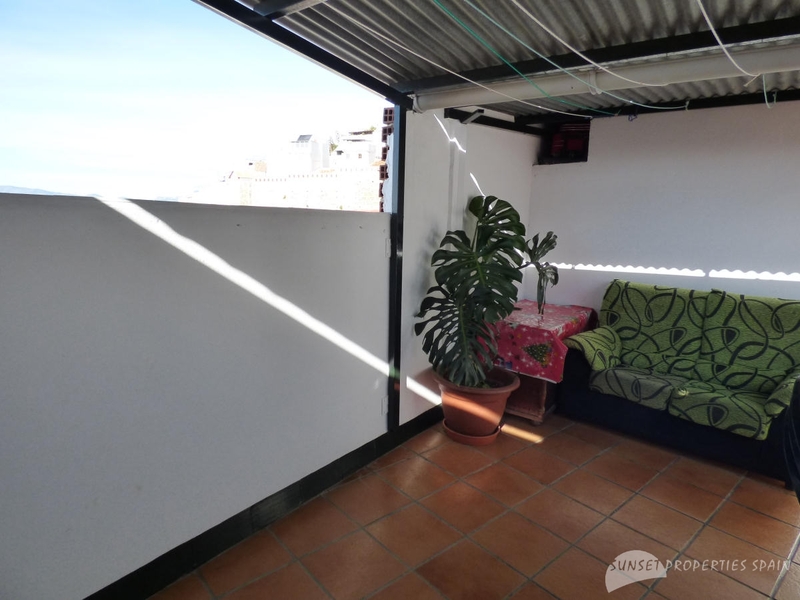 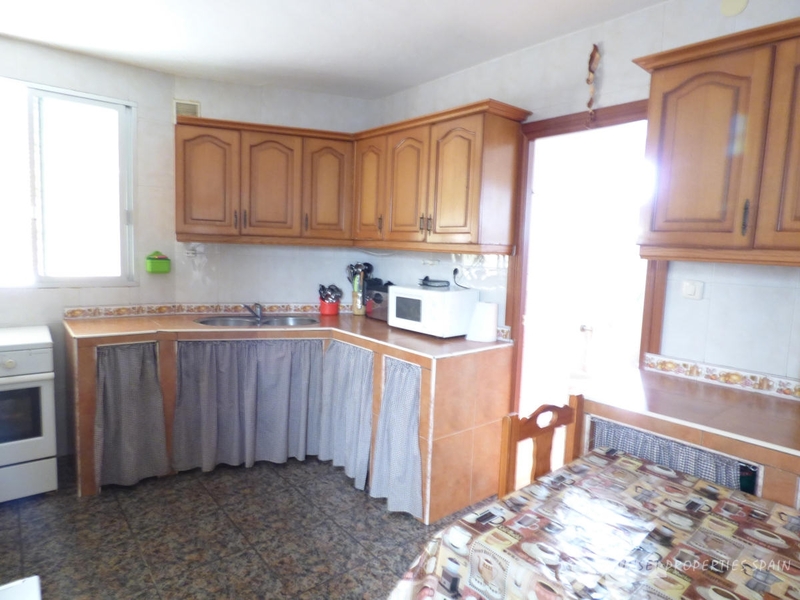 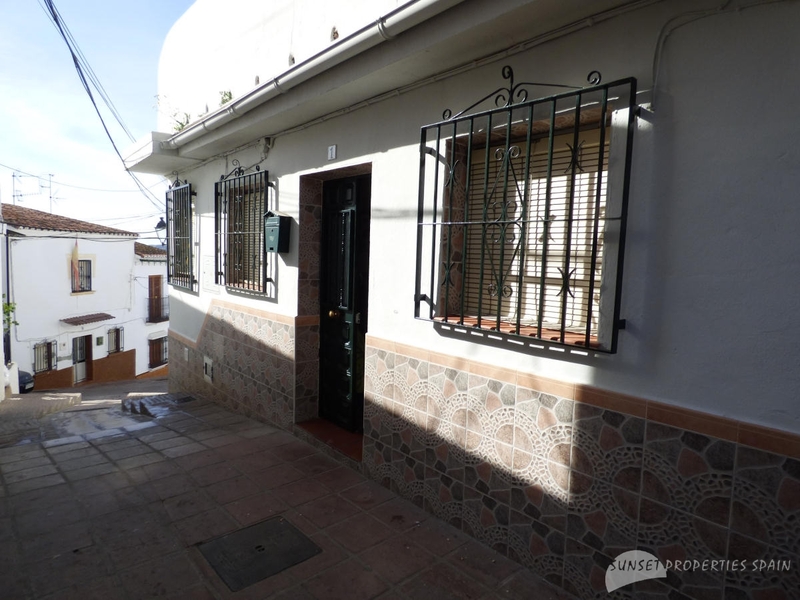 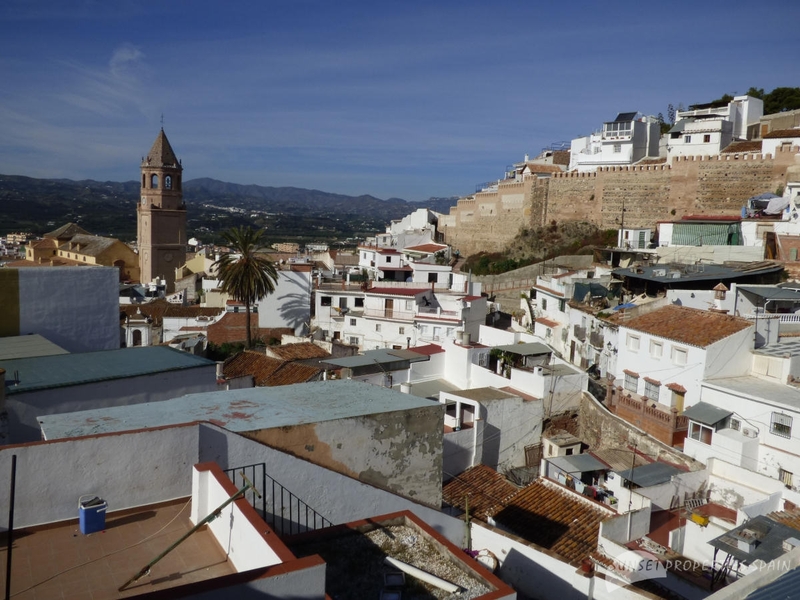 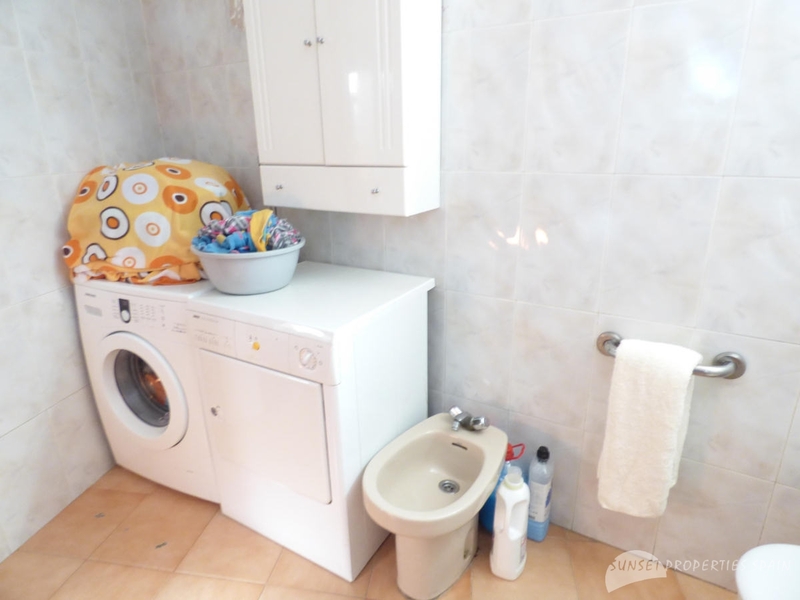 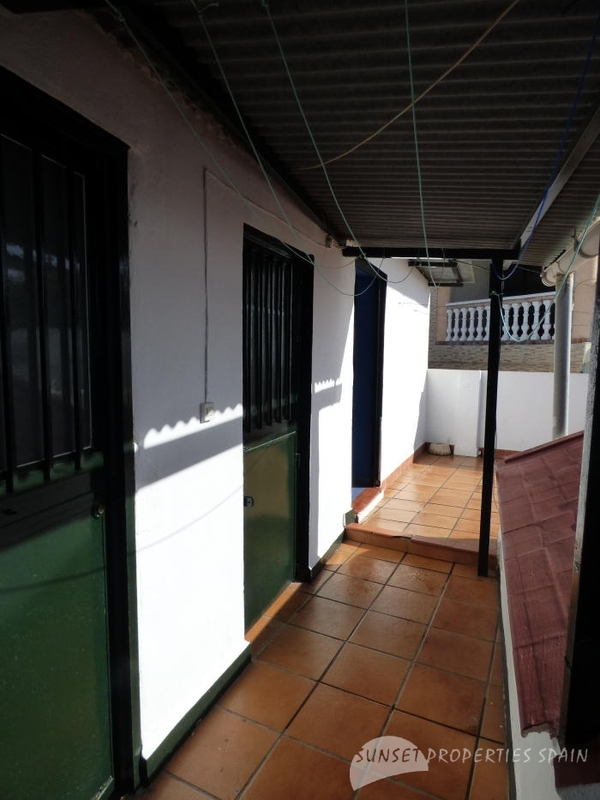 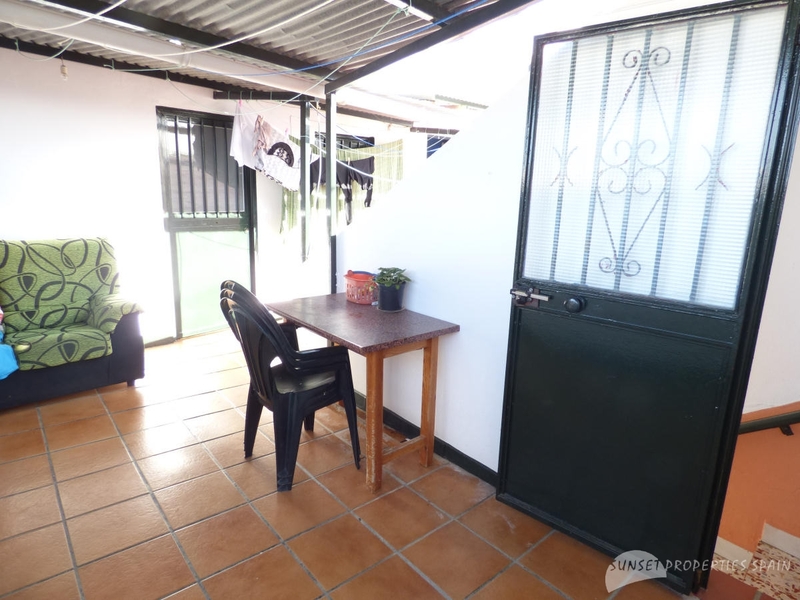 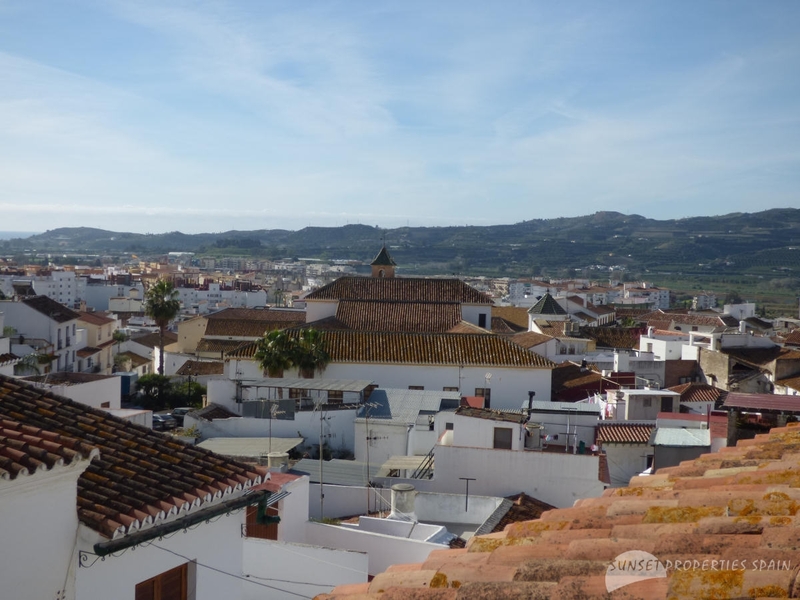 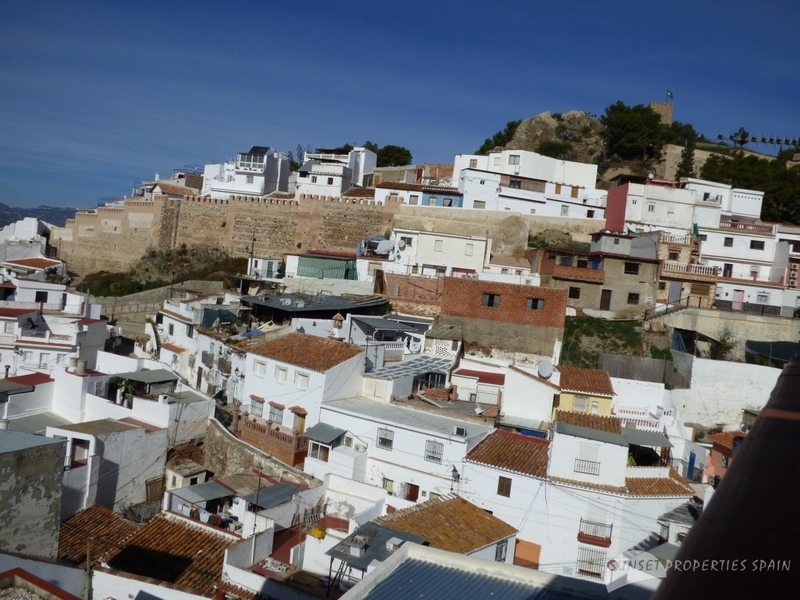 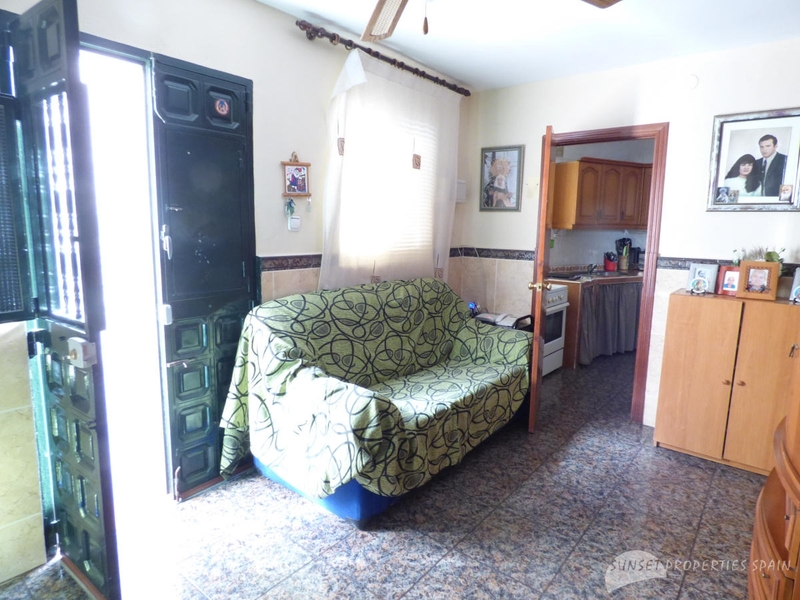 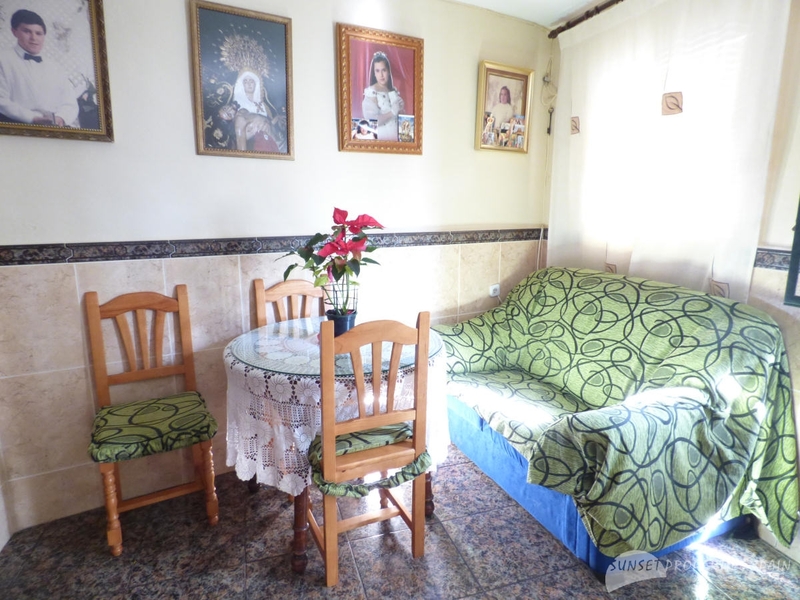 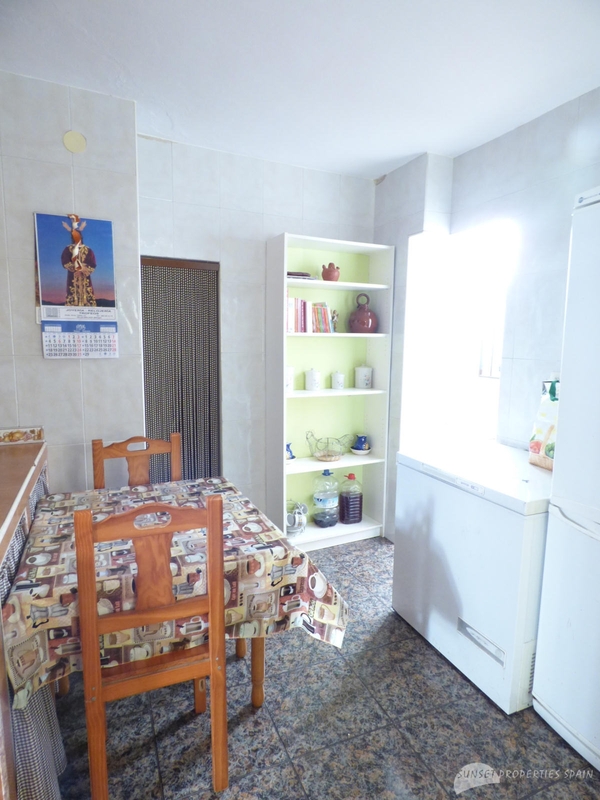 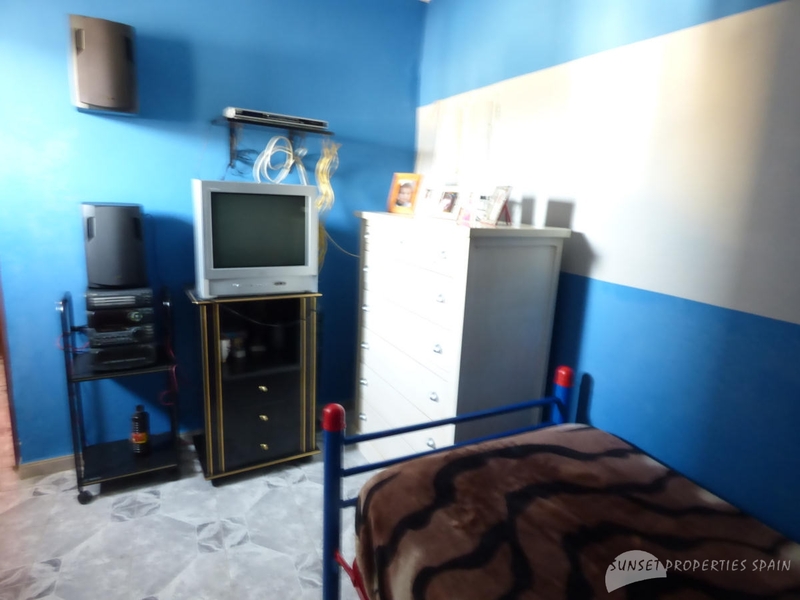 Traditional village house with 3 bedrooms and 1 bathroom located in the old part of the town of Vélez Málaga within walking distance of all amenities with parking available nearby. 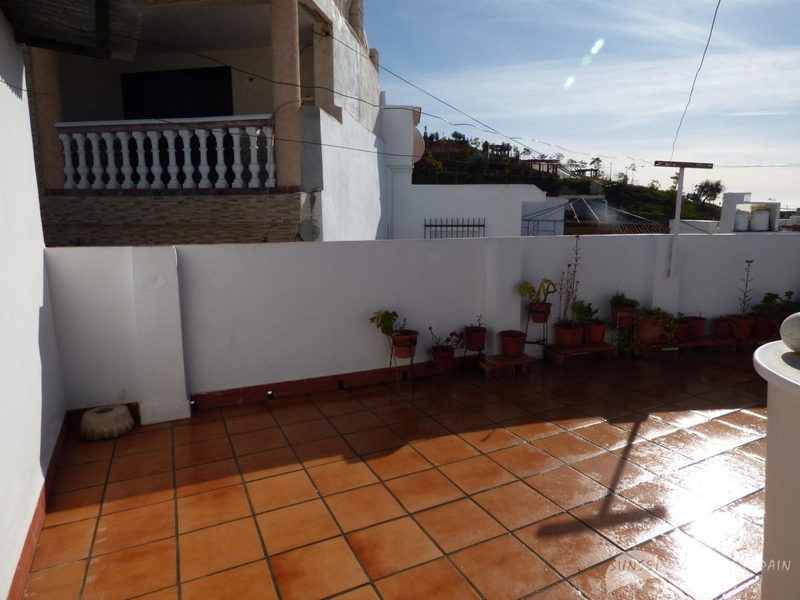 This charming property has a good sized living/dining room, excellent scope for extension and a large roof terrace with spectacular town, mountain, countryside and sea views. This traditional style village house is located within walking distance of local amenities in the town of Vélez Málaga with on-street parking available nearby. 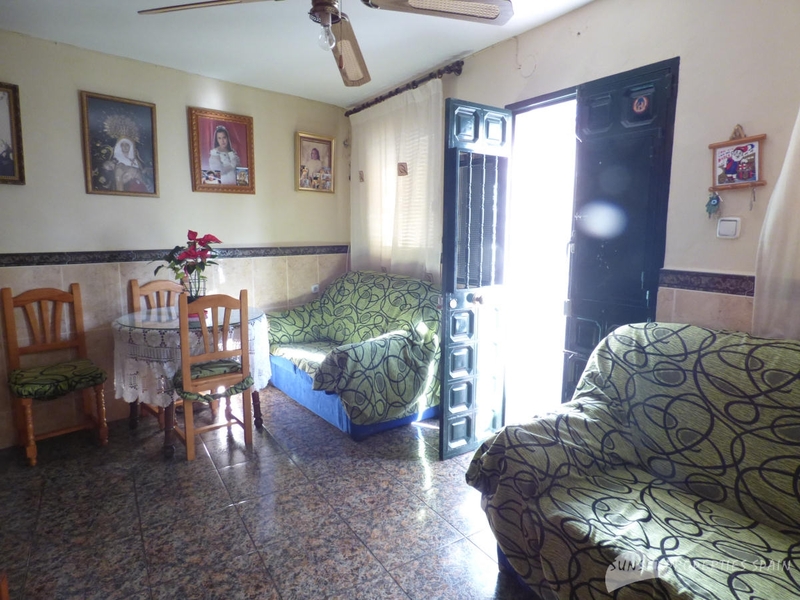 The main entrance to the property is from the street and into the spacious living/dining room which has a ceiling fan. 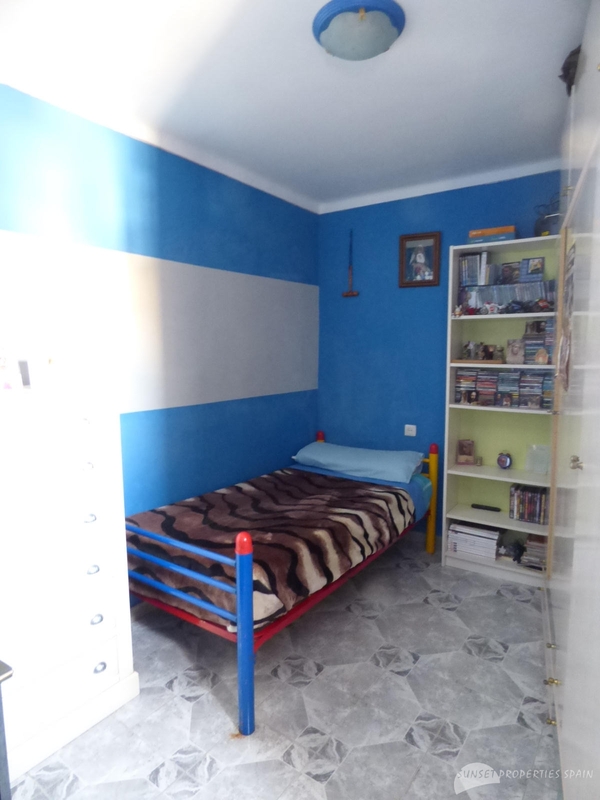 Third bedroom (3.5m x 2.2m). 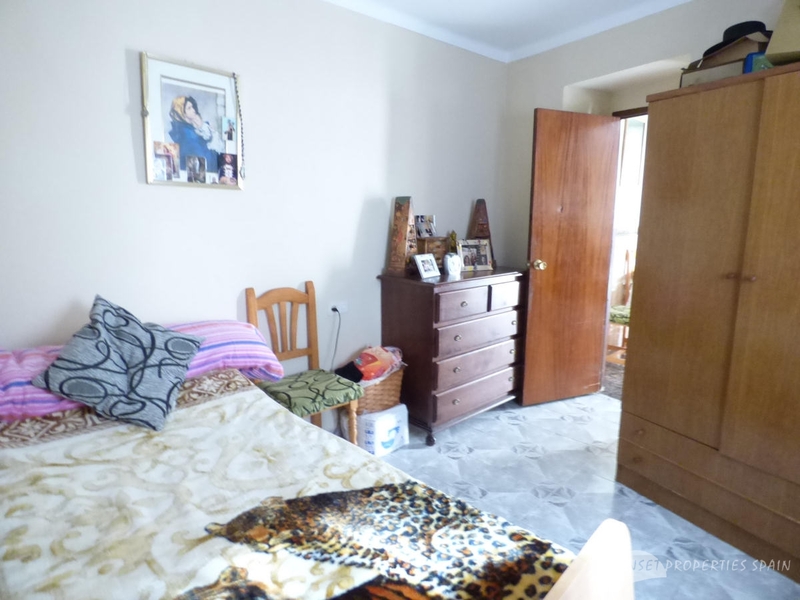 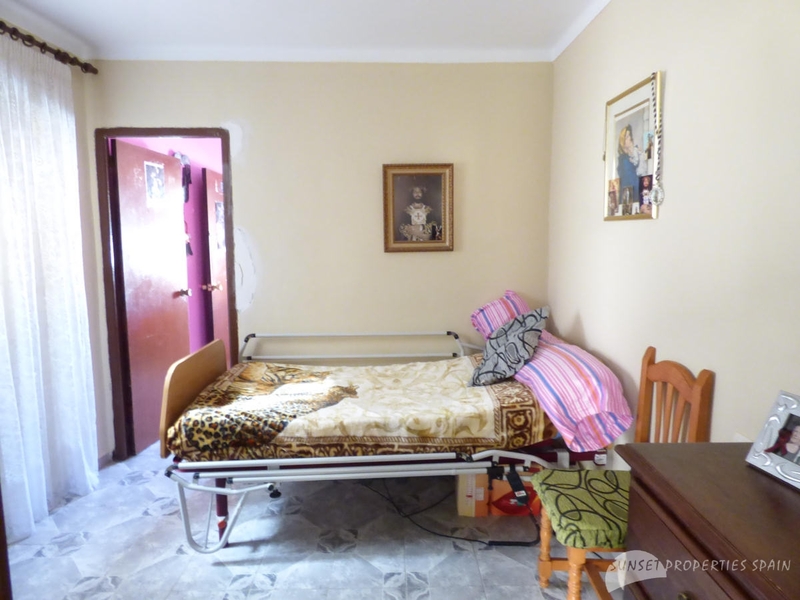 It would be possible to make a separate entrance for this bedroom from the kitchen. 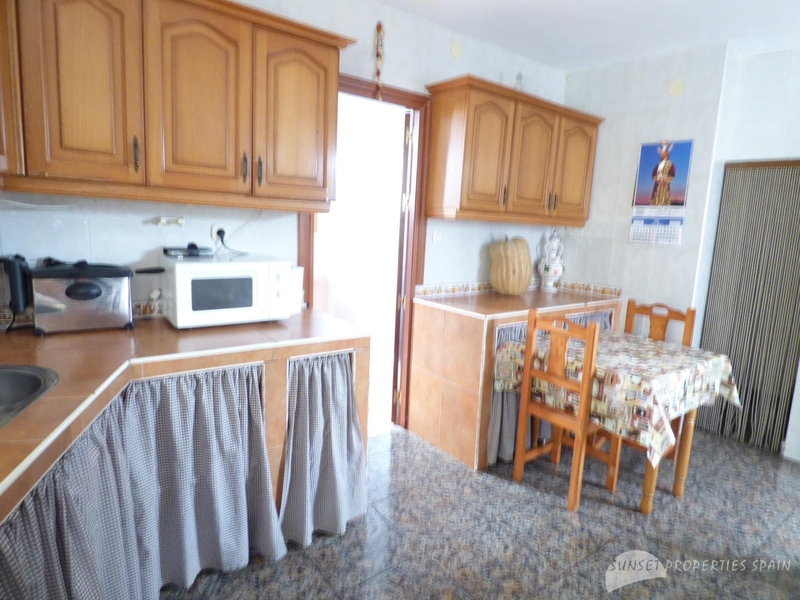 Next to the living/dining room the traditional style fitted kitchen has useful under stairs storage space. 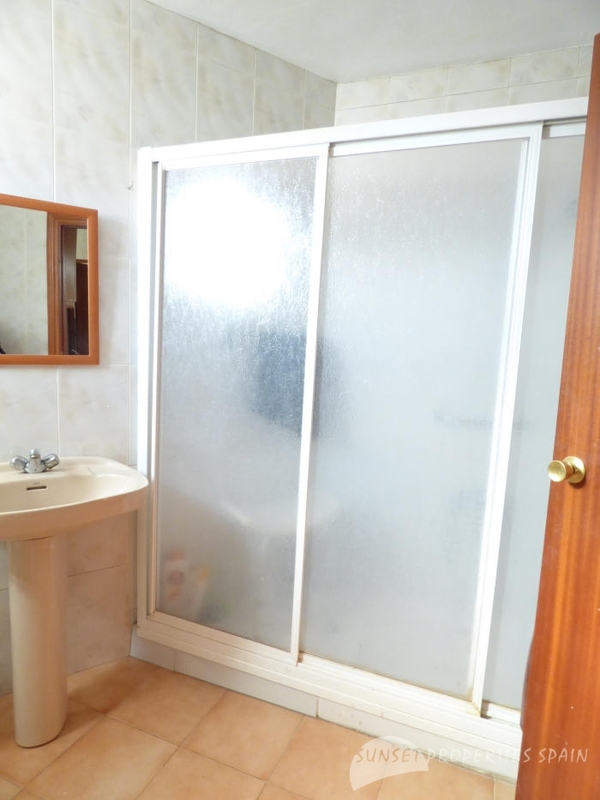 Family bathroom (3.0m x 3.0m) with large shower. 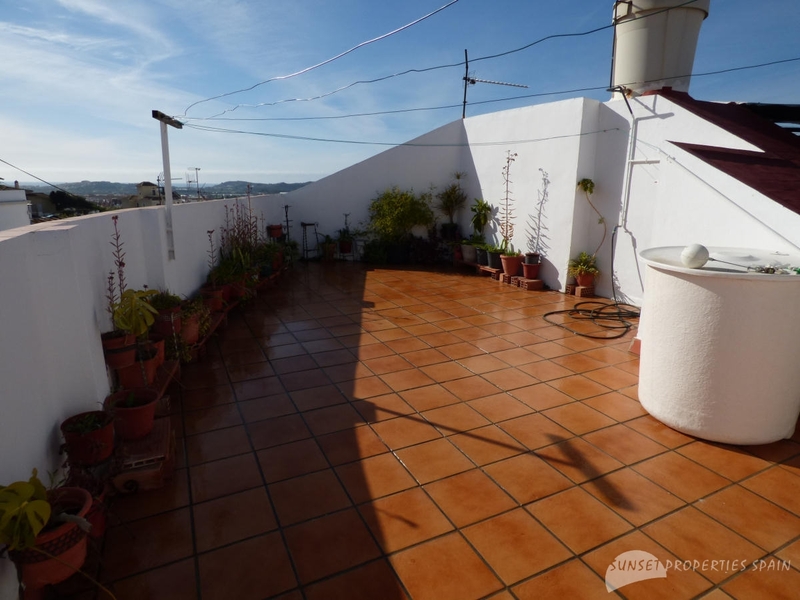 Adjacent to the kitchen is a small utility space with stairs leading up to the first floor and the roof terrace. 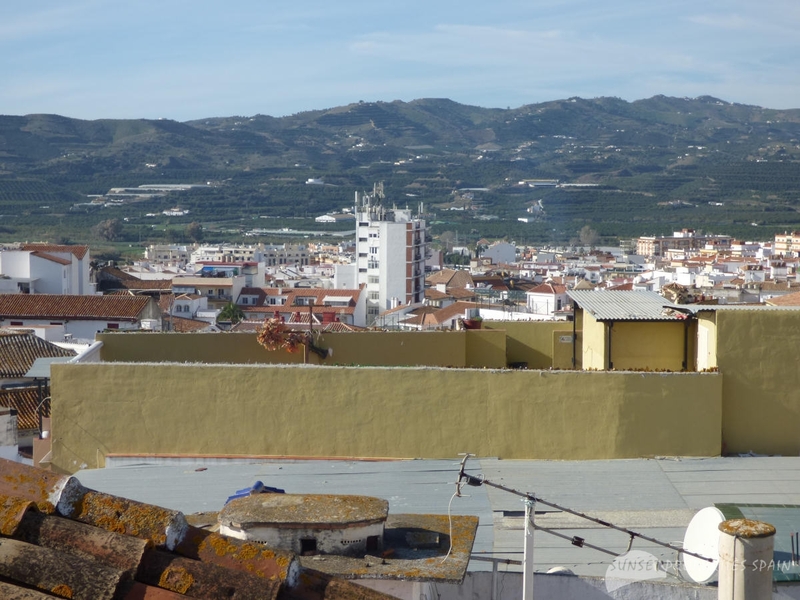 A part-covered section of the roof terrace (5.0m x 3.0m) has lovely views across the town to the mountains and countryside beyond. 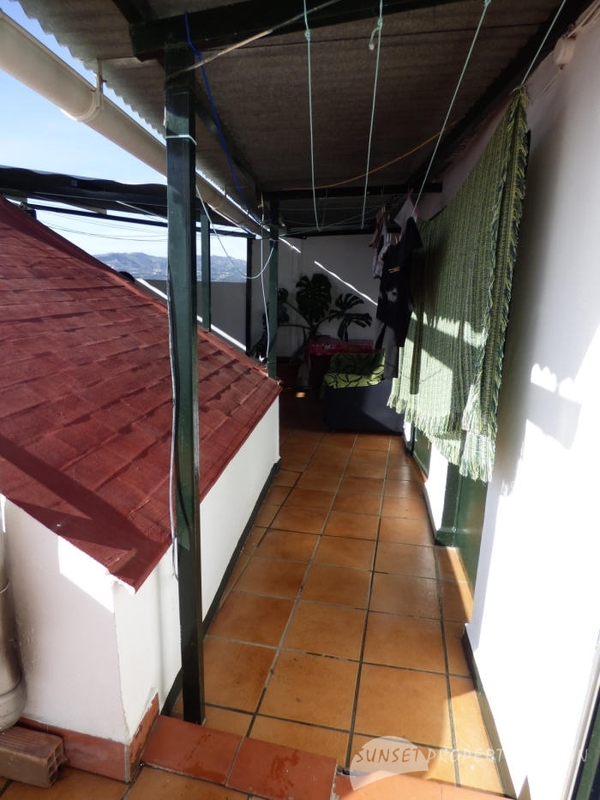 From here a covered passageway (2.5m x 1.0m) leads to the rest of the roof terrace (11.0m x 5.0m) which has superb views across the town to the Mediterranean Sea in the distance. 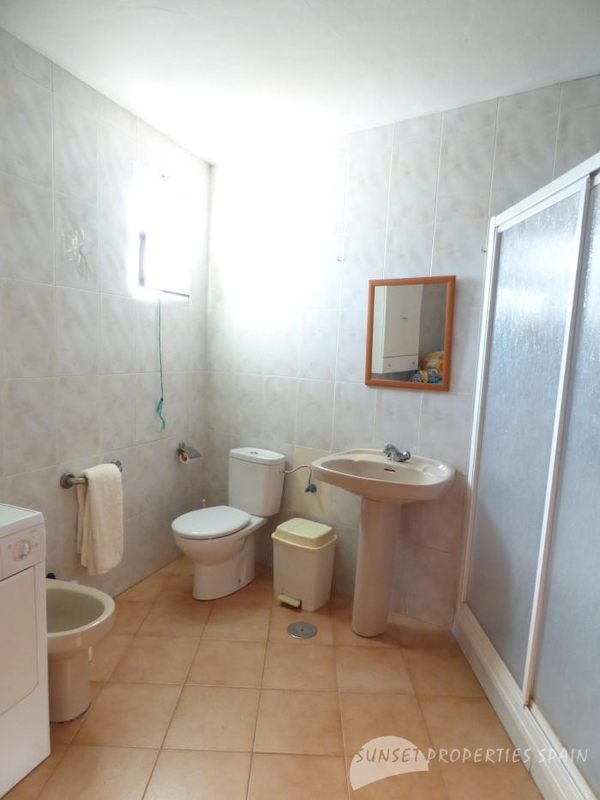 Storage room (2.2m x 1.0m) which could be converted into a bathroom. 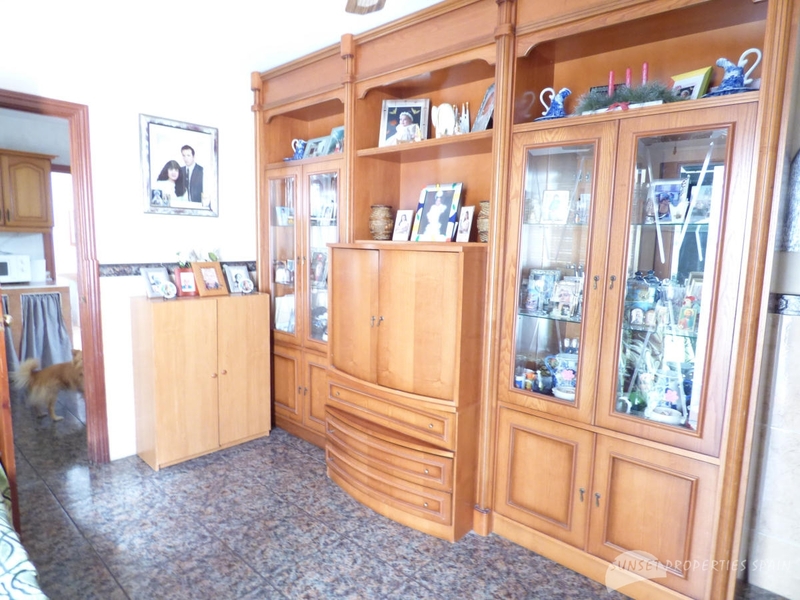 Storage room (3.4m x 1.8m). 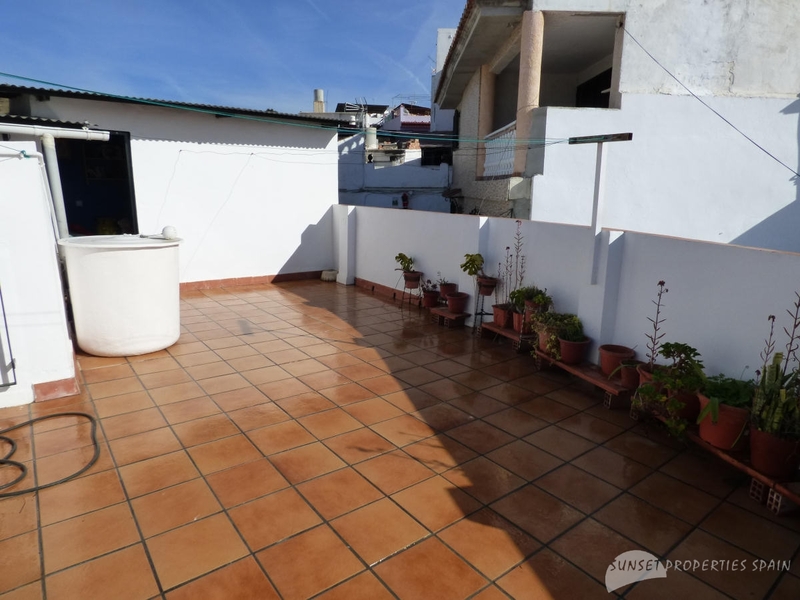 It would be possible to build additional living accommodation on the roof terrace with a new roof terrace on top of this.